This show would have been perfect, but the same difficult woman who pushed and verbally harassed me at The Ballroom Thieves show at Empire six months ago was sadly at this show and was as obnoxious as last time. At least I was much further away from her at this show. Concert etiquette is an easy thing to understand—put your phone down, whisper when you talk, respect the personal space of others—but it sadly doesn’t mean everyone comes to a live show to actually listen to the music. For those of us who do, people who ignore those basic rules are the worst. This woman (whose name I know and have decided to withhold after much deliberation) saw me during this show and pointed and waved sarcastically at me during it, all the while talking at more than full volume just inches from the stage while the Thieves performed. I guess she wasn’t really drunk when she was so badly behaved sixth months ago (which was the excuse for her behavior I’d invented) because she shouldn’t have remembered me so many months later. She annoyed the poor people around her so much at this show that they asked her to stop talking over and over again, which she refused, but then she had the audacity to post complaints about how rude the people at the show were later that night on the Facebook event for the show. 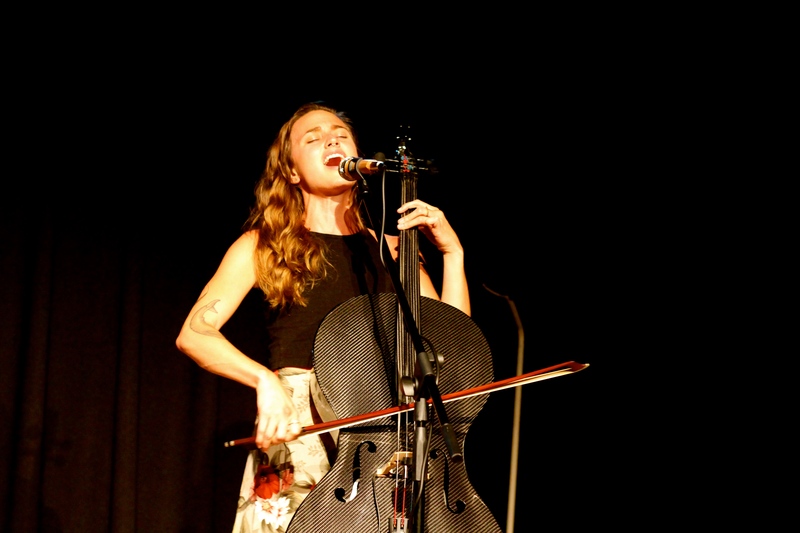 I continue to be puzzled by her and just hope she’ll skip the next Ballroom Thieves show—for all of our sakes. 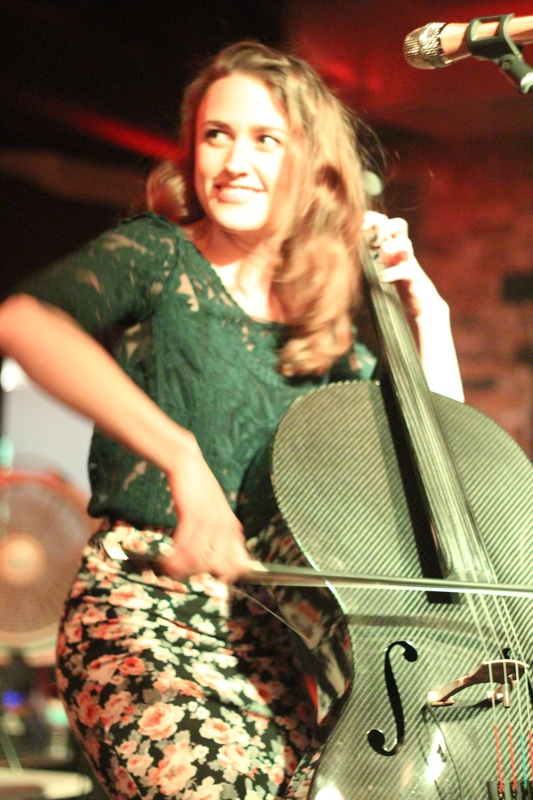 Back to the music, though, which was wonderful, even though I was distracted. 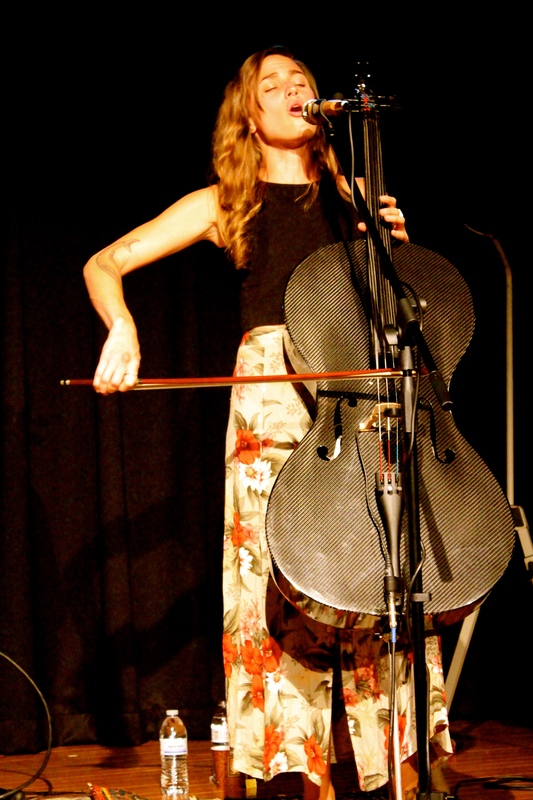 This was my first time at Portland House of Music and I liked it. I went with a large group of friends, and we stood next to the stage instead of in the pit, and it offered a great view of the stage. It’s an intimate venue and I don’t think there’s a bad spot in the house. 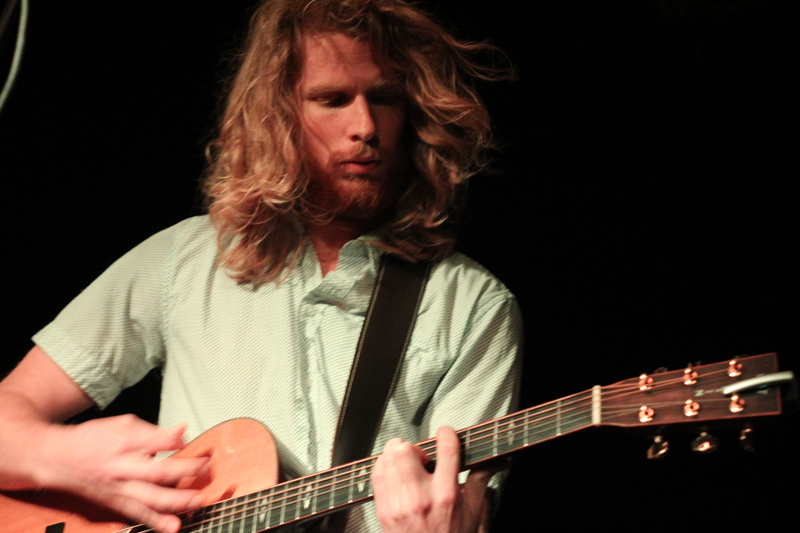 Winnipeg’s The Bros. Landreth were fantastic. 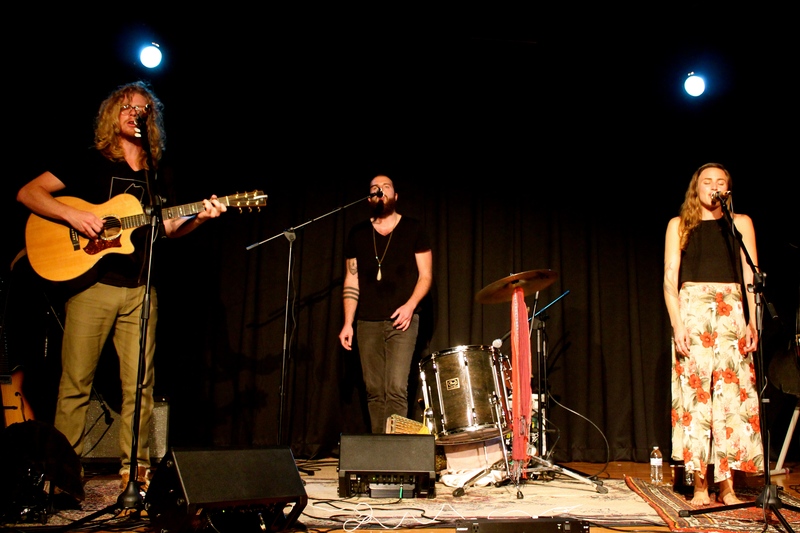 The foursome charmed the big crowd with their strong harmonies and honest vocals. At one point, the four stood around one microphone and stunned to silence the entire crowd with their beautiful, sad song, “Greenhouse.” I was truly impressed with their sound and stage presence and have listened to them a bunch since that night. Here’s a piece in Billboard about them that came out last year in advance of their January 2015 release, Let It Lie. 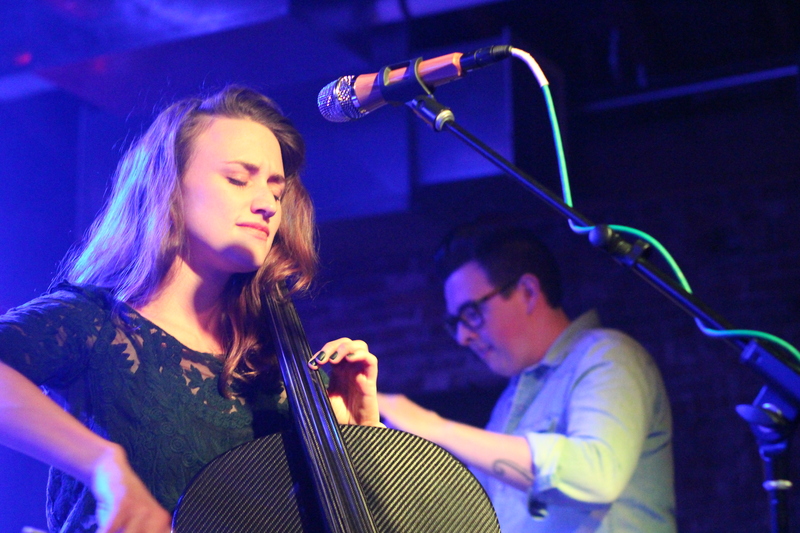 The Ballroom Thieves are surely one of my favorite live bands and I love their music so, so much. 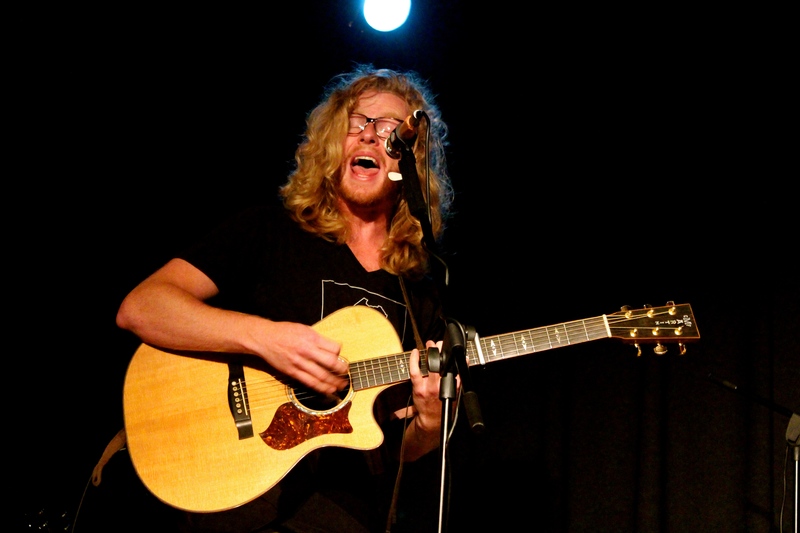 Martin, Devin, and Callie have incredible chemistry, beautiful harmonies, and heartfelt, engaging songs. 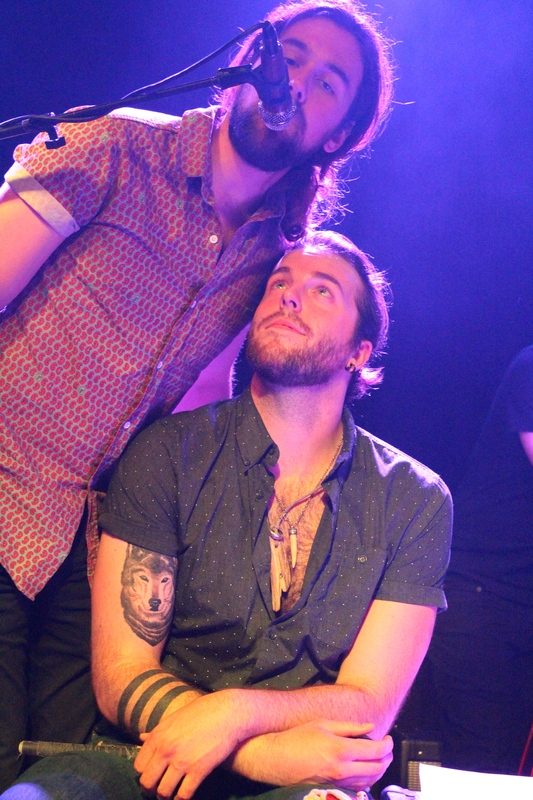 They’ve toured a bunch to support A Wolf in the Doorway, and I’m thankful I got to see them live in April, September, and November of 2015. I’m eager for a new album from the Thieves, which must be coming since they’ve played lots of great new songs during these shows. 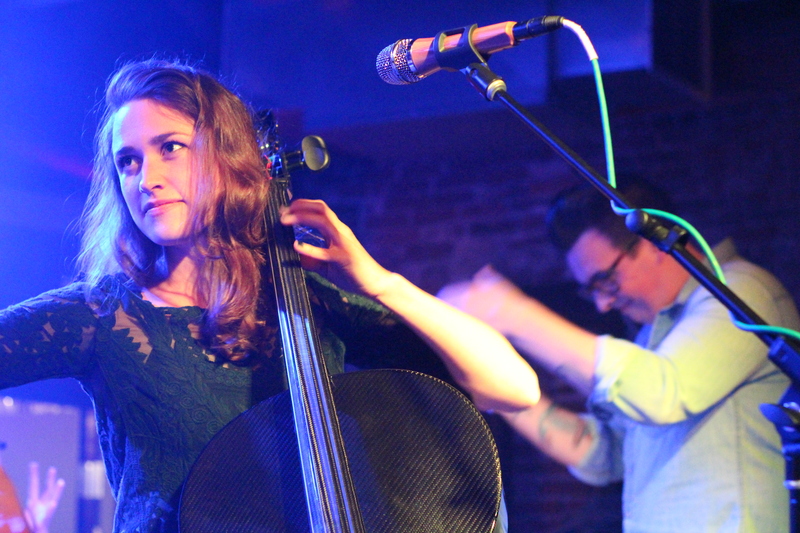 They’re playing a show tomorrow night on New Year’s Eve with Lady Lamb and The Ghost of Paul Revere at State Theatre. (I’ve decided not to go just in case she-who-shall-not-be-named is there, as I don’t want to ring in 2016 anywhere near her.) If you’re feeling up for checking out a fantastic band (you may want to avoid front row center for your concert-going happiness) to end 2015, there are still tickets available! Thieves—I will conjure some bravery to overcome crowd adversity and come see you next time you’re in town! All good things to you in 2016! 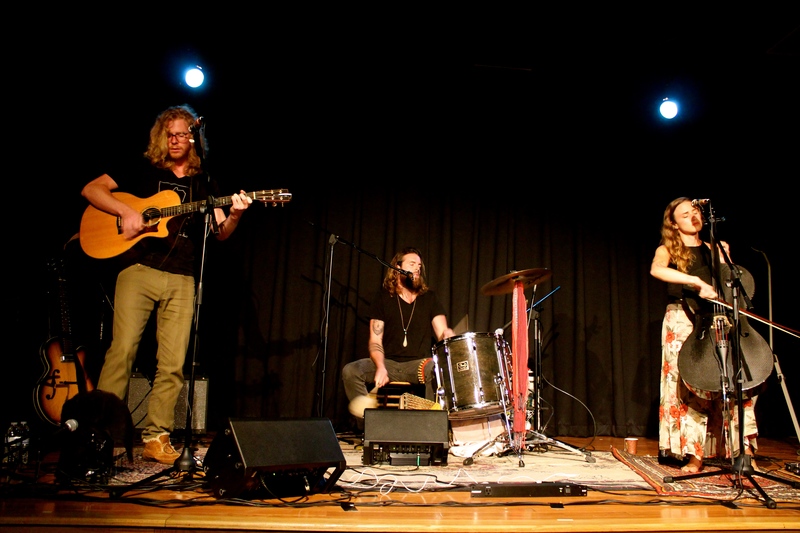 The Ballroom Thieves are a rock solid favorite band of mine and I’ve written about them a bunch on whatbreesees.com. 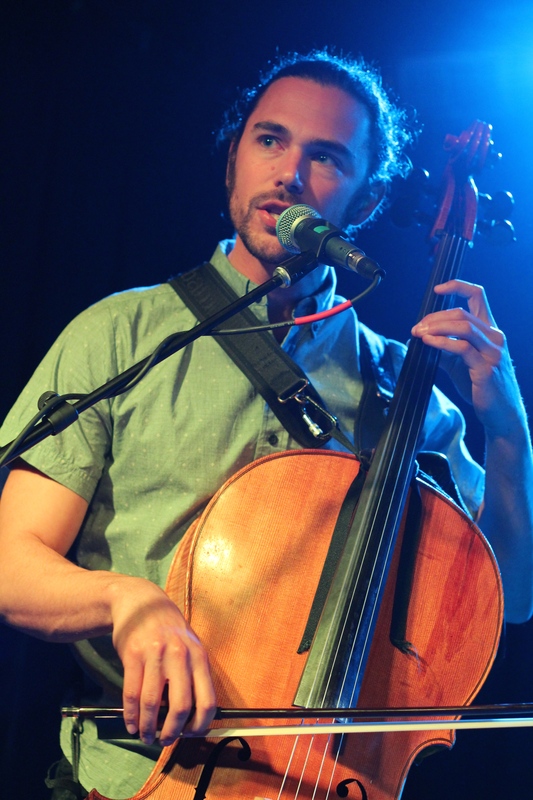 I first saw The Ballroom Thieves open for The Lone Bellow in June of 2013 at The Sinclair in Cambridge, Massachusetts. The fact that I am in love with The Lone Bellow, but that I didn’t want The Thieves to rush their opening set, speaks volumes about how good they are. 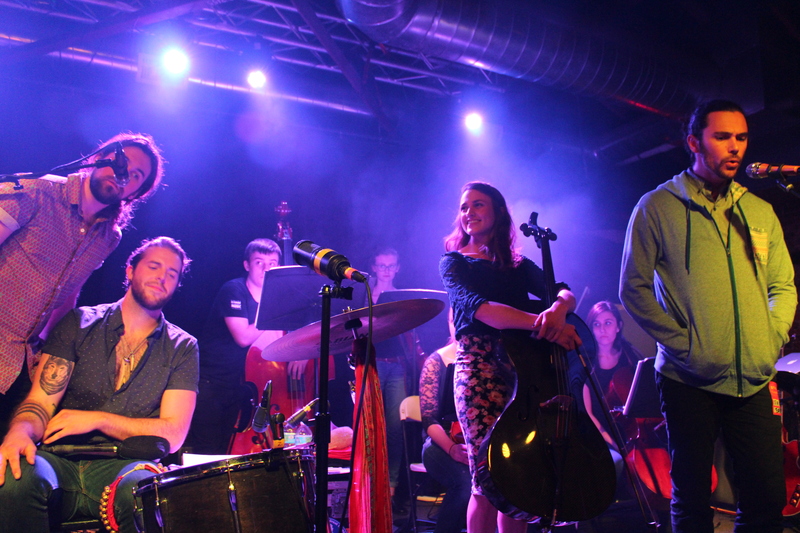 Their infectious, percussive, dynamic sound—with honest lyrics and gorgeous harmonies—makes them the full package. I send an annual email to Mike Miclon, Executive Artistic Director of Gardiner’s historical Johnson Hall, with a list of my favorite acts I’d like to see perform a mere .2 miles from my house in the upcoming year. 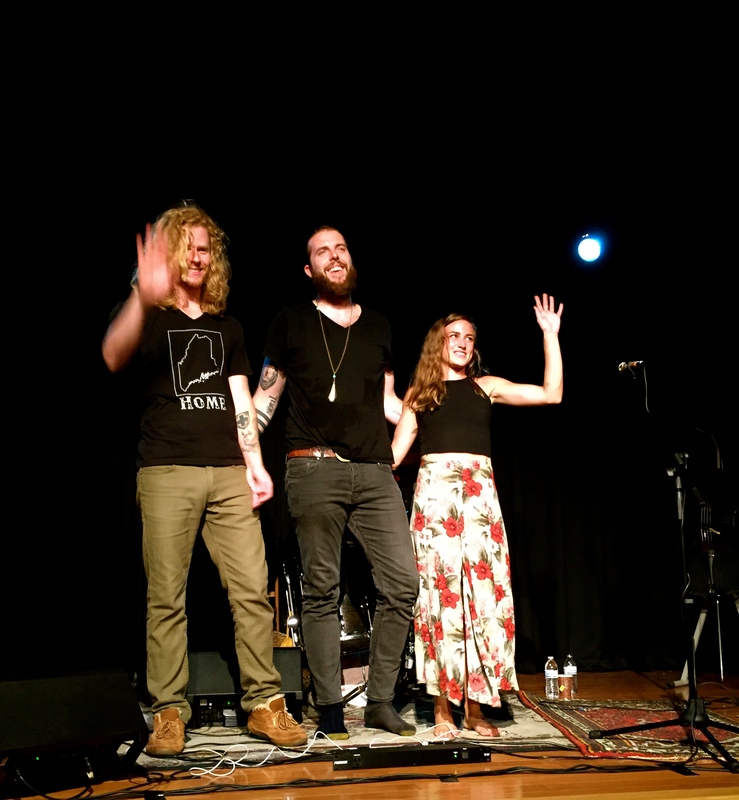 He fell in love with The Ballroom Thieves right away and reached out to book them for this great season of shows at Johnson Hall. Coming off their first performance at Newport Folk Festival, I wasn’t sure they’d take a gig in such a small town, but they did! 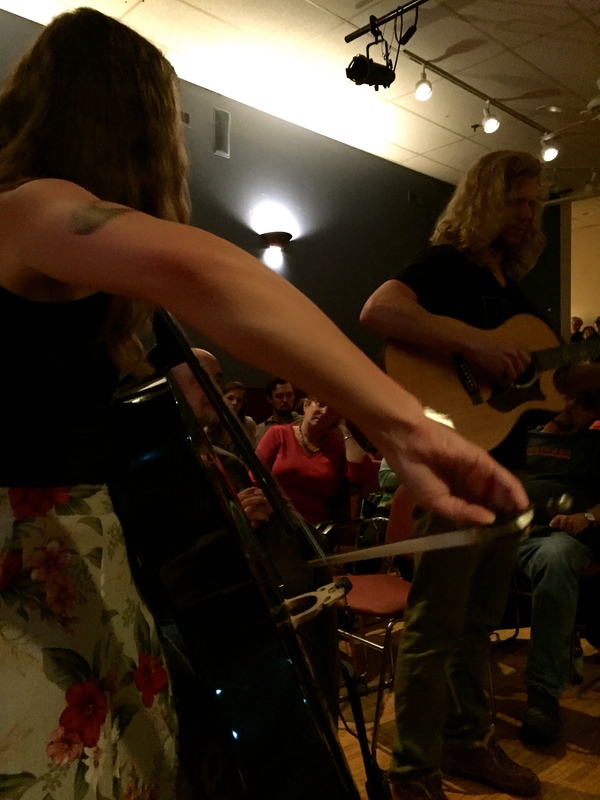 This abundantly talented Boston-based trio—Maine’s own Martin Earley (guitar/vocals), Calin Peters (cello/vocals), and Devin Mauch (percussion/vocals)—is simply made to play music together. This show coincided with their second anniversary as a group. It’s incredible to think how quickly they’ve become such a strong unit. 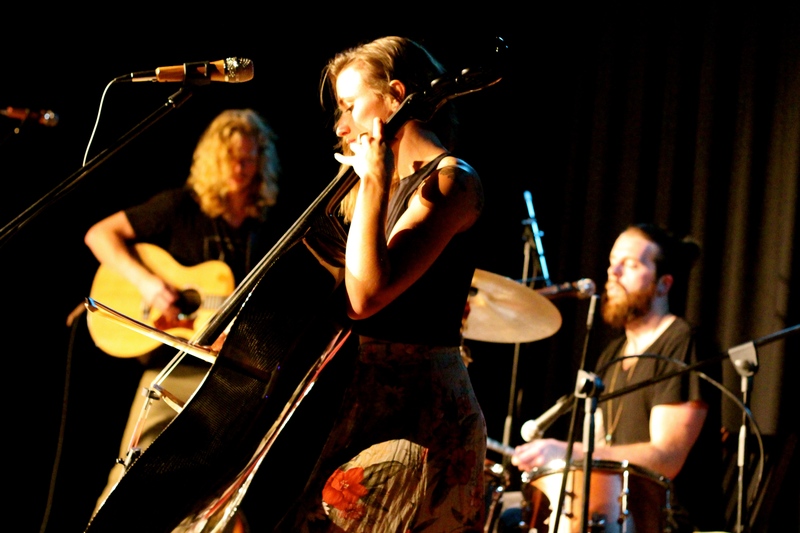 Their first full-length album, A Wolf in the Doorway, beautifully captures their spirit, and their newest songs (a few of which they treated us to) continue to show their growth and evolving energy as a band. 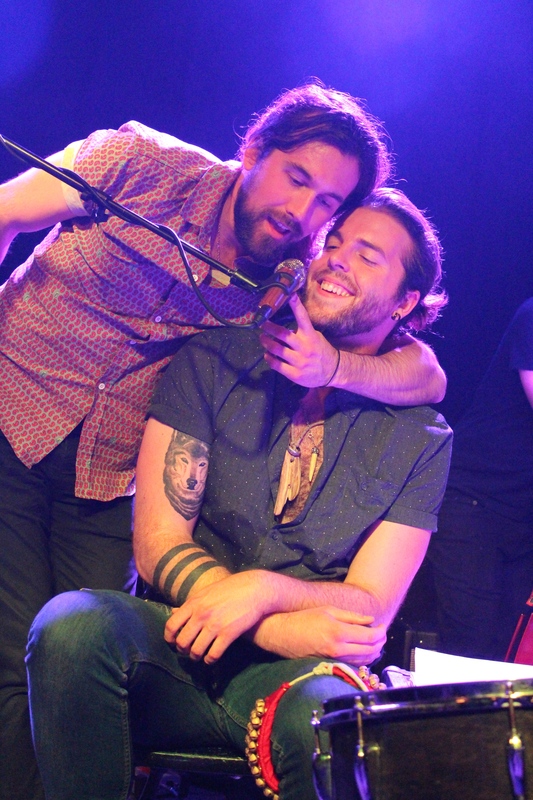 I like their music so much that it’s impossible to pick favorites, but I always appreciate getting to hear “Coward’s Son” (Martin’s folks were in the crowd and he reminded us it’s just a lyric) and “Bury Me Smiling” (featuring Calin on lead vocal) live. 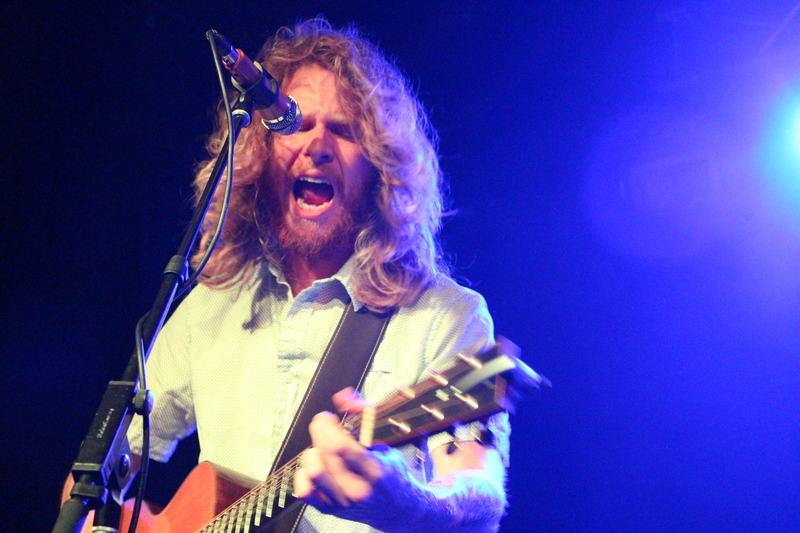 Devin sang lead on a fantastic cover of Frightened Rabbit’s “My Backwards Walk,” and it shined brightly as a highlight of the night, especially because I can’t recall ever hearing him take the lead vocal part before. I like the trend towards featuring each vocalist solo from time to time. Their beautiful blend makes it tricky to distinguish their individual voices, so getting to hear each one solo is a treat. 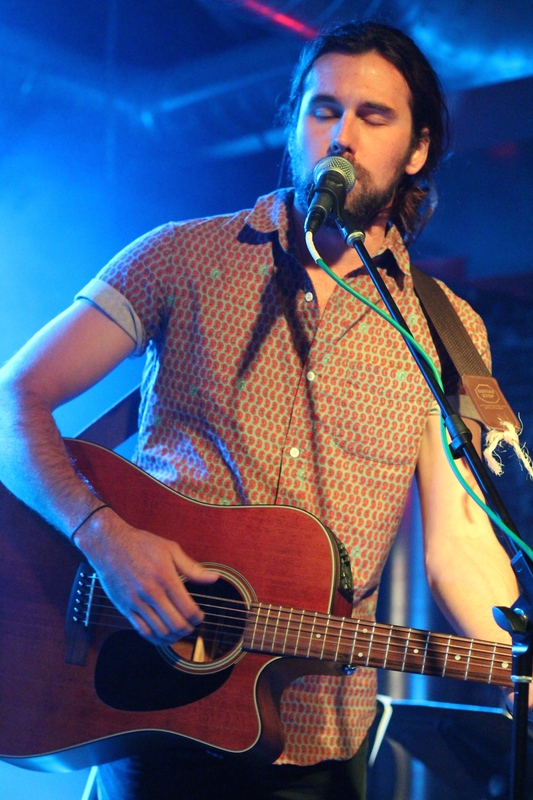 I appreciated that Mike gave me a shout out before introducing the band and credited me with getting The Ballroom Thieves to Gardiner. Although I rarely like to talk to musicians I admire (you never know when they might be having a bad day and it ruins the love you have), I enjoyed friendly banter during the show with all three, which was very kind. 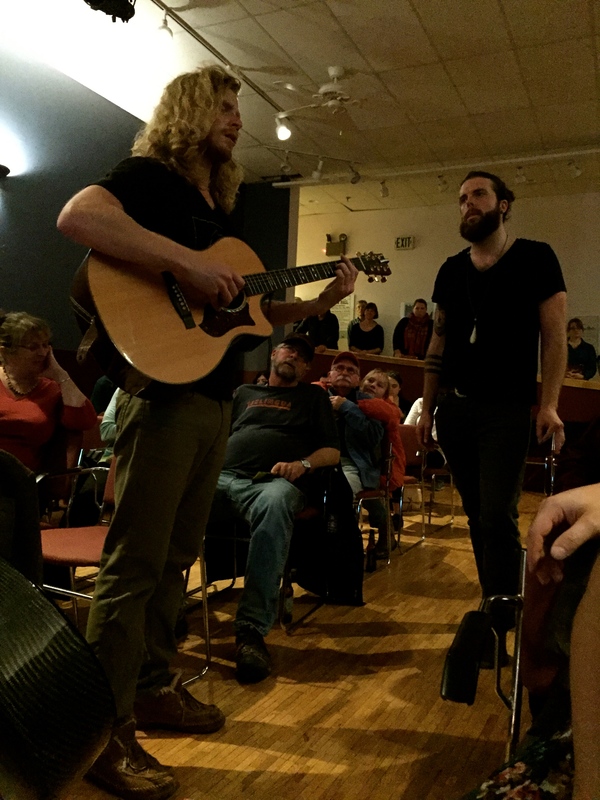 After the show, my sweetie pointed out that I chatted with the band enough during the show to be a fourth band member. Devin joked that he must have lost the invitation I sent for putting them up at my house for the night. Funny, because I had meant to send an email to their manager Eric extending an invitation to house them after the show, but I was so busy running Homecoming week at my school that it completely slipped my mind. Sorry, Thieves! You have an open invitation, both to return to Johnson Hall and to escape the van life for an evening at my house next time you come to town! More pictures below! 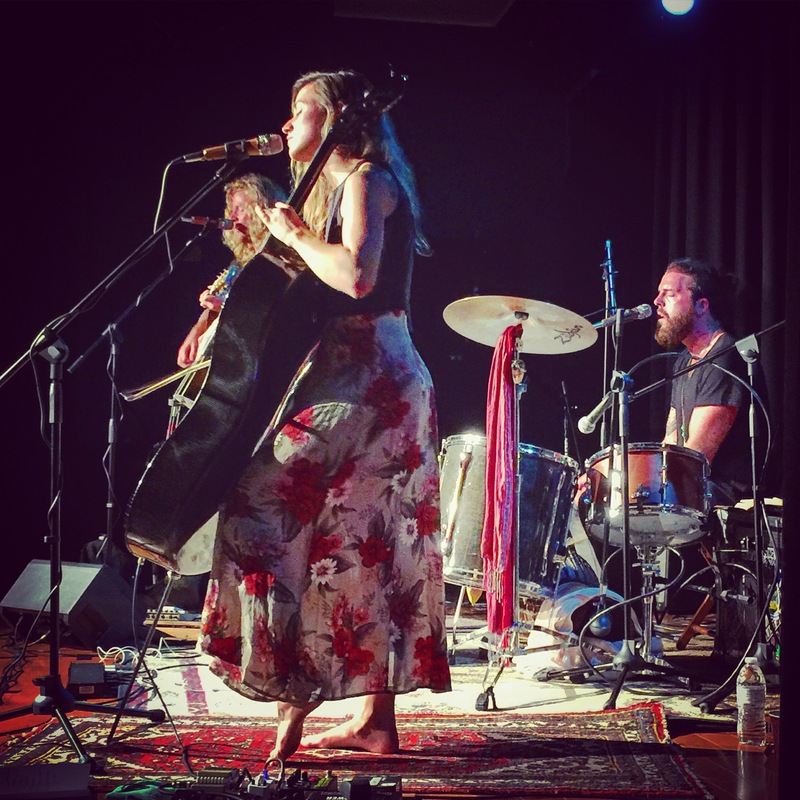 I’ve had the pleasure of seeing Boston’s The Ballroom Thieves live just a handful of times, but they quickly made their way onto my short list of favorite live bands. 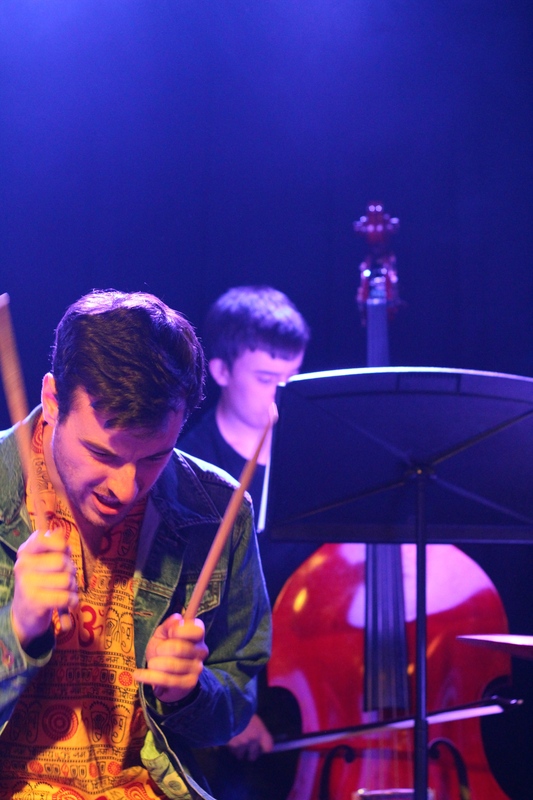 This talented trio—Martin Earley (guitar/vocals), Calin Peters (cello/vocals), and Devin Mauch (percussion/vocals)—is simply made to play music together. 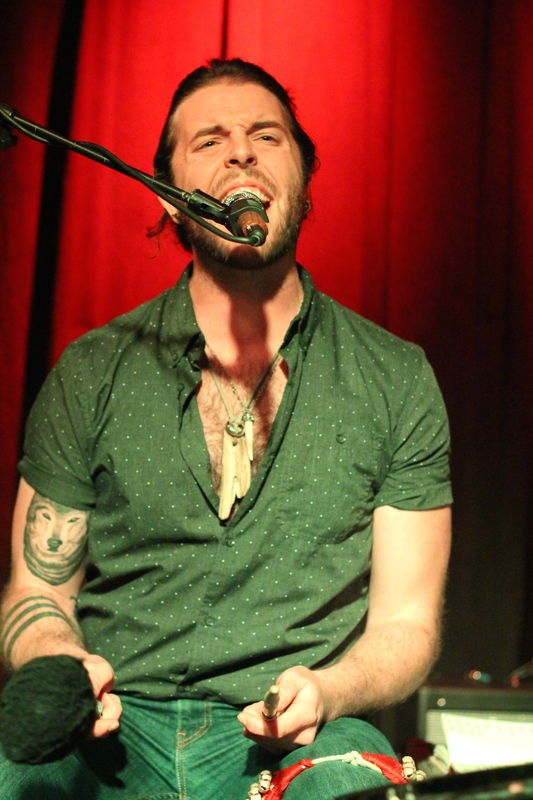 Their driving, percussive sound is infectious and their crystal clear vocals and gorgeous harmonies are top notch. 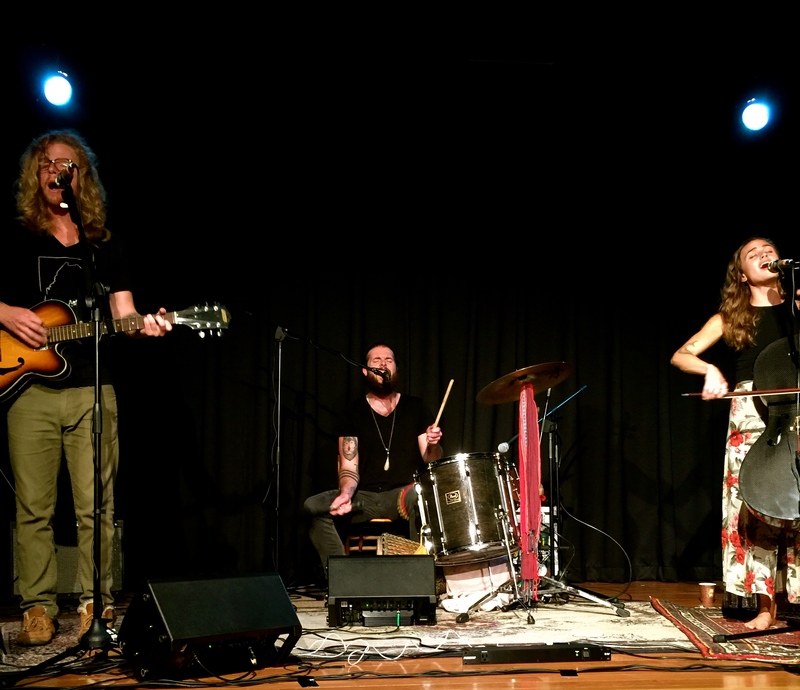 I first saw The Ballroom Thieves open for The Lone Bellow (holy smokes, I know!) back in June of 2013. I’d never heard of them and yet they stole my heart with the urgency of their music, honest lyrics, and engaging live show. They know how to perform and bring it every single time. 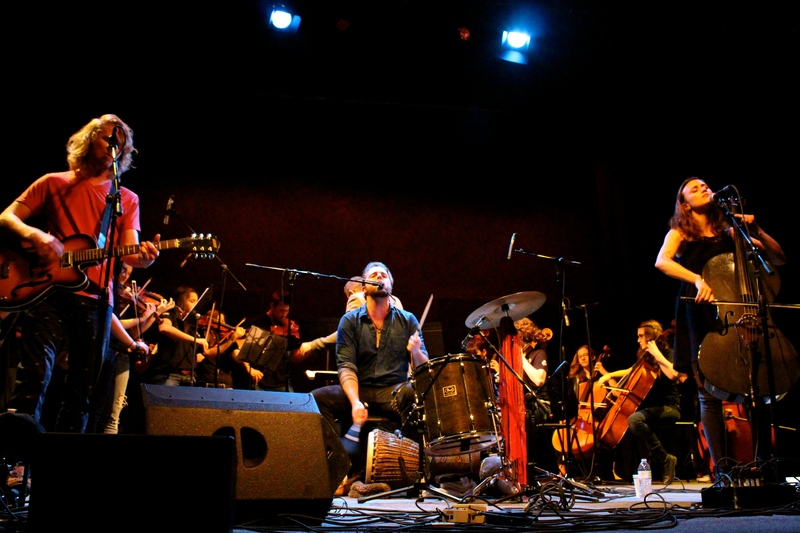 The last time I saw the Thieves was with the very talented Maine Youth Rock Orchestra, and it was a real treat to see them perform together. 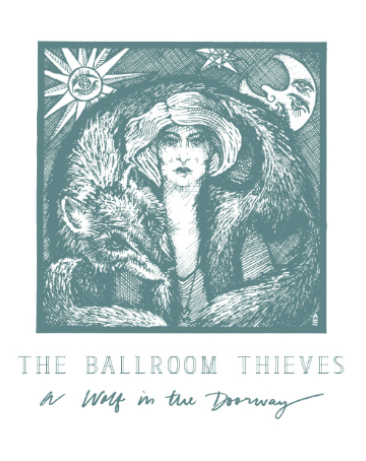 The Ballroom Thieves just released their first full-length album, A Wolf in the Doorway. They kindly sent it to me a couple of months ago and I’ve been listening on repeat. 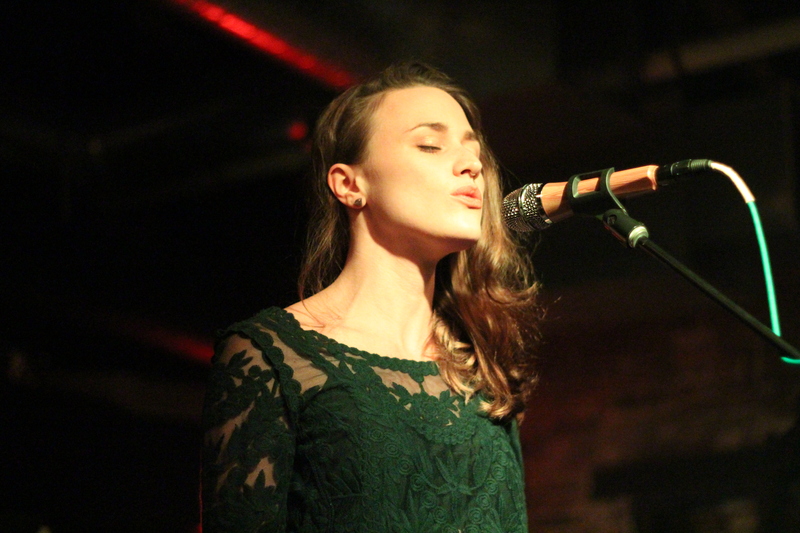 A Wolf in the Doorway beautifully captures the spirit of the Ballroom Thieves. It opens with “Archers,” which will win you over in seconds. 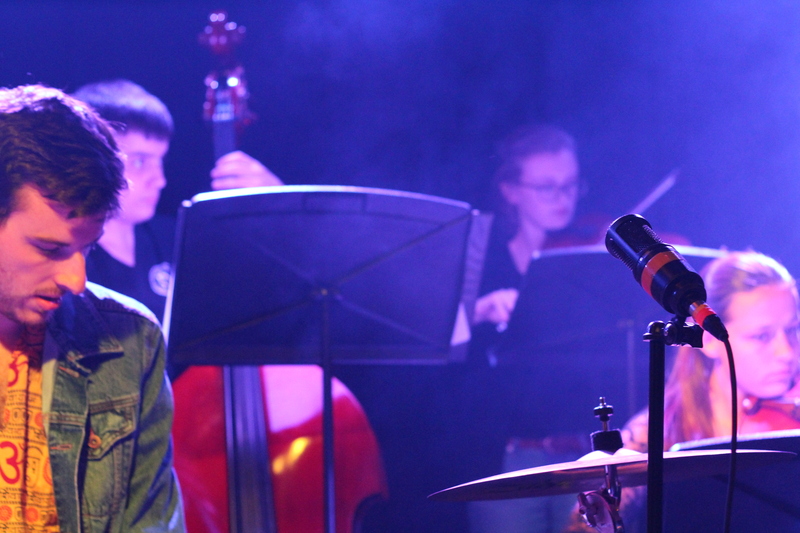 (Check out the video for “Archers” that the Thieves made with the Maine Youth Rock Orchestra). “Archers” captures what I think is the Thieves’ essential sound. My other favorite songs on the record are towards the end of the album. 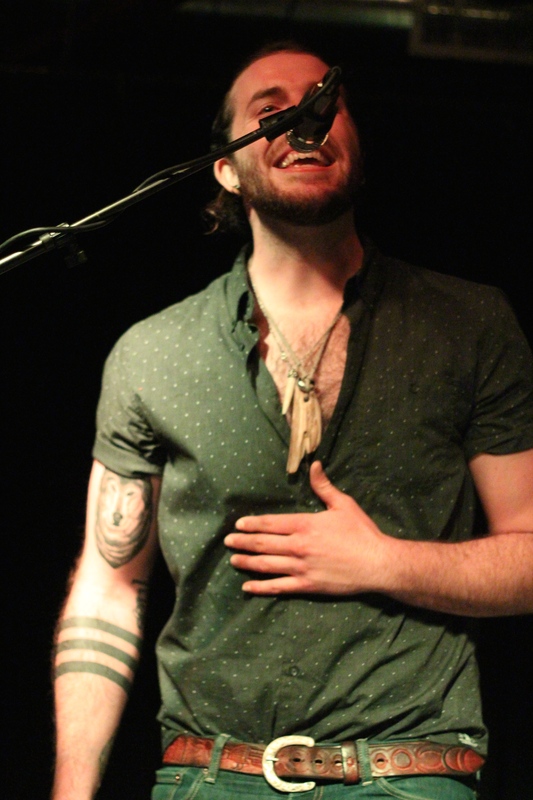 I love Calin’s airy lead vocal on “Bury Me Smiling.” “The Loneliness Waltz” is beautiful. I’ve listened to that one over and over and the lyric “We are frivolous with our hearts/Watch them bend till they break/Then we pick up the parts/We give/We take/We save and condemn/We live just to love again” slays me. Martin’s lead vocals on “Here I Stand” tell the next part of the story after “The Loneliness Waltz,” and their harmonies are hymn like. The whole album is stellar, and you should definitely give it a listen. 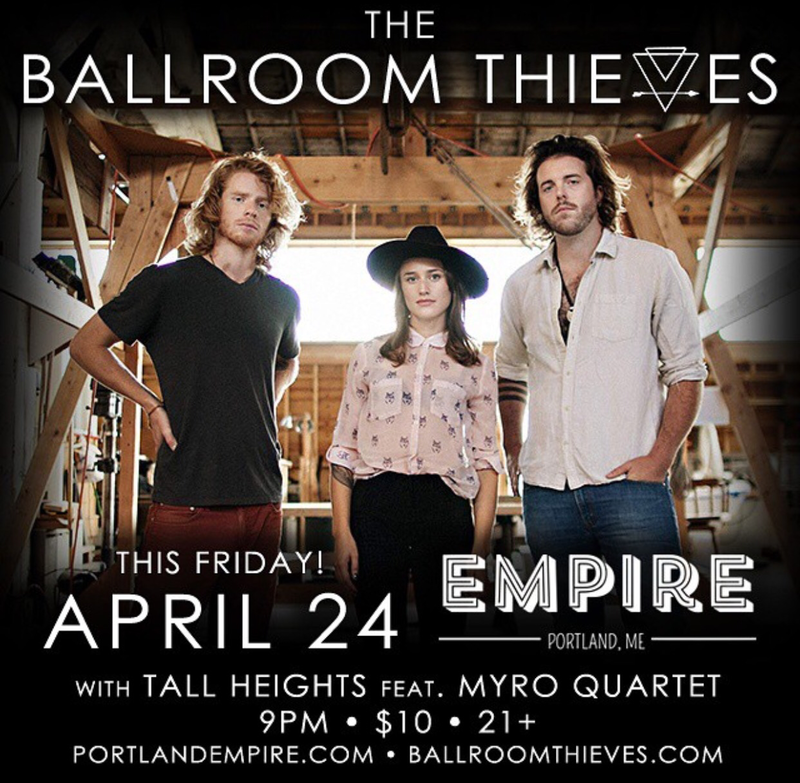 Not only have the Thieves released a great new album, but they’re coming to town on Friday! They’re definitely going to sell out Empire, so get your tickets early. 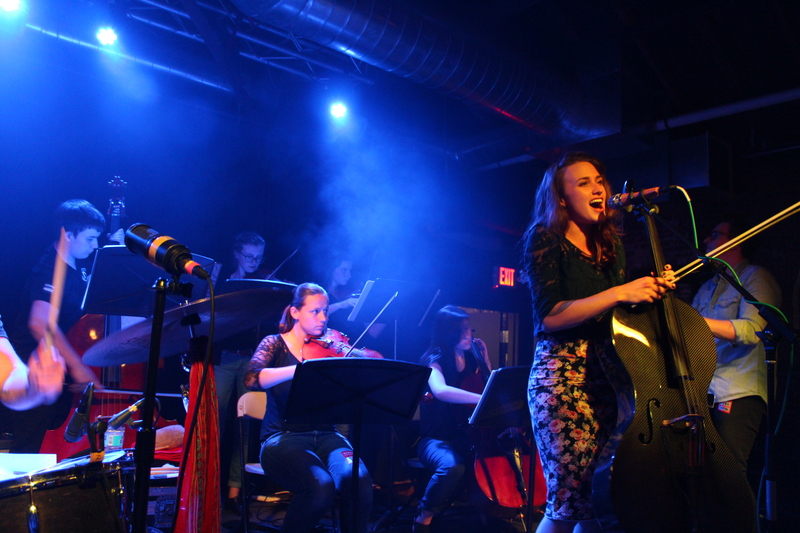 They’re bringing the Maine Youth Rock Orchestra, and Boston-based folk duo Tall Heights is opening the show. 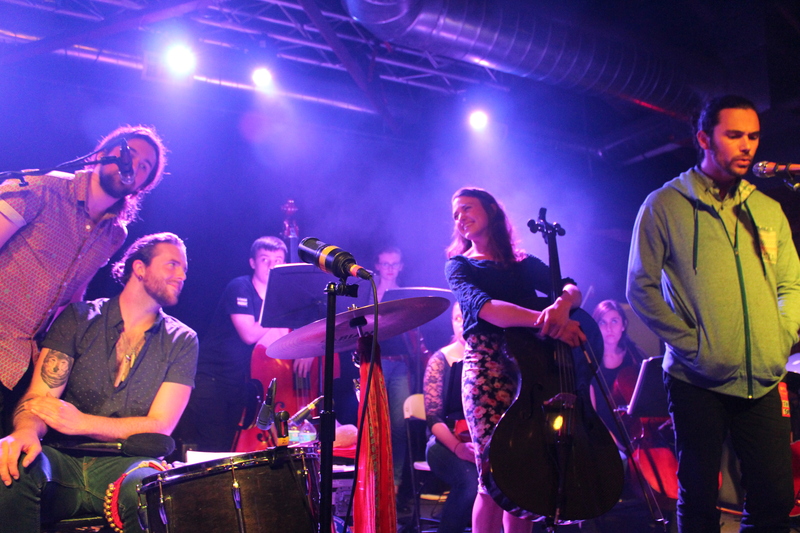 If you’re into string sections and strong harmonies, this is a do not miss show! Come find me at the show and say hi—I’ll be the one smiling big and singing along in the front row.